If you don't already live in California, you probably have presumptions that this state is mostly dotted with Mexican, seafood, and In-and-Out Burger restaurants. But truth be told, we have a plethora of eateries and cultural influences within the Golden State, let alone, the San Joaquin Valley. That said, if you live near or are planning on visiting the San Joaquin Valley area soon (particularly Visalia, Fresno, Hanford, Tulare, or Exeter), I have a list of some incredible, local restaurants you might just want to try out! Each of these restaurants I have tried myself, and they are generally loved by our local community. If you don't think the Central Valley houses healthy, high-quality food, well, you're wrong. Farm Fresh Bowls located in both Visalia and Fresno has healthy-yet-delicious breakfast and lunch bowls containing some of the best, locally-sourced ingredients. Best of all, they offer vegan, vegetarian, and gluten-free options and alternatives. Let me start off by saying their mixed fruit bowls offering granola, yogurt, nuts, and/or honey for added texture and flavor are stunningly delicious. 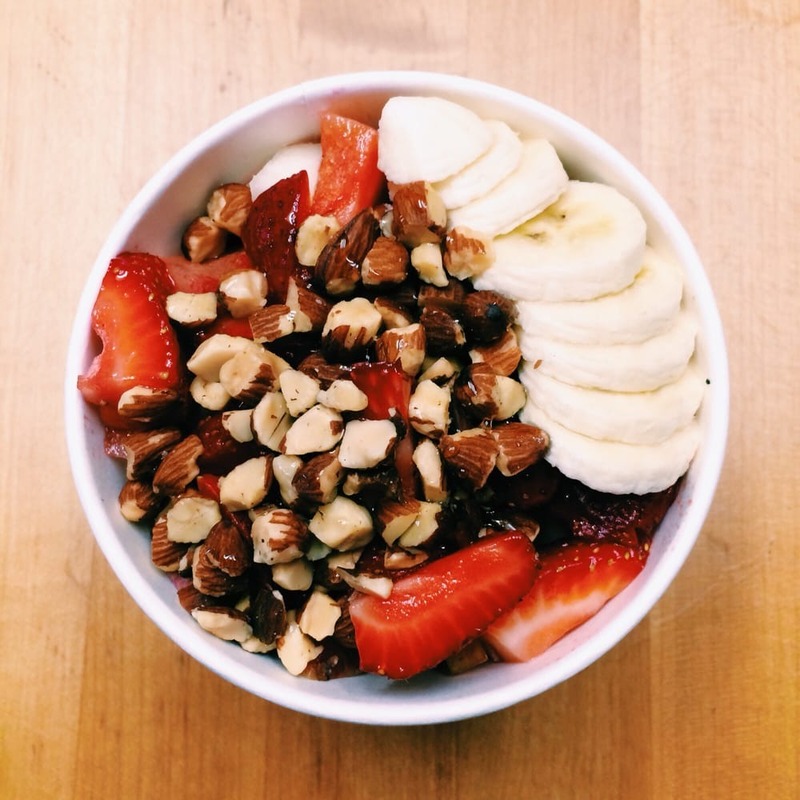 If you want something a little more complex, try one of their acai bowls. I also highly recommend the FFBowls Egg Scramble for breakfast, which is essentially a deconstructed breakfast burrito. It showcases scrambled eggs, smoked bacon, and red potatoes topped off with pico de gallo and jalapeno cheddar all over a wheat tortilla. Yum! For lunch, their menu items alternate depending on the season. For instance, they'll offer warm, comforting specials such as kale meatball soup or tacos for those colder months. At the time I'm writing this article, they currently have Turn'd Out Tamale and Rustic Meatball Primavera as their two specials at their Visalia location. Overall, you can expect a lot of unique, complex flavors at Farm Fresh Bowls. Even with their use of quinoa, brown rice, and other healthy ingredients, the flavors and textures are never lacking at this small business! Paninis are underrated; they really are. Here in Visalia, the only places I can think of on the top of my head that offer decent paninis are chain restaurants. Even then, there aren't many unique panini options to pick from. However, at Panini Nut House in Downtown Visalia, there are several unique panini options from their Monte Cristo to their Pepperoni Cheesy Panini, or my favorites, their Chicken Chipotle, Spicy Italian, and Chicken Bacon Jalapeno Popper paninis. 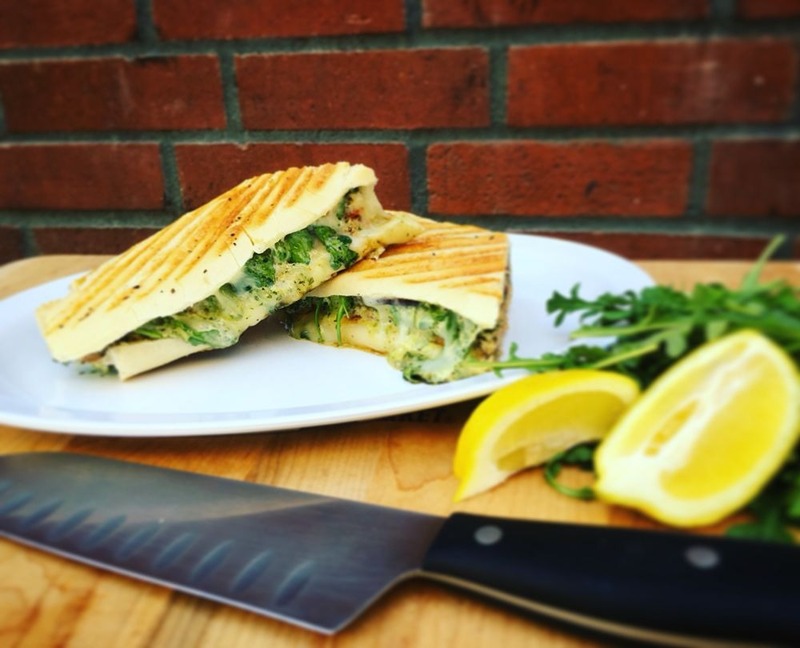 They also offer a weekly panini with mouthwatering combinations that you won't find anywhere else in the Valley along with housemade potato salad, housemade pasta, and chips for sides. Panini Nut House additionally offers their classic sandwiches on fresh bolillo bread, freshly-squeezed orange ice cream and a daily ice cream flavor (e.g., Animal Circus Cookie, Coconut Lime, Chocolate Raspberry Mocha), freshly-baked cookies, and packaged goods such as oven-baked veggies. Oh, and who could forget their banana Nutella bread pudding! It's incredible, and I'm picky when it comes to bread pudding. Don't get me wrong, I love Asian cuisine. But eating at both local and chain Asian restaurants, it's hard to find meat with great texture, quality, and flavor all in one. At Korean Chili in Visalia, California, one taste of their bulgogi beef, and I was attached from the start. Now I crave their food all the time! 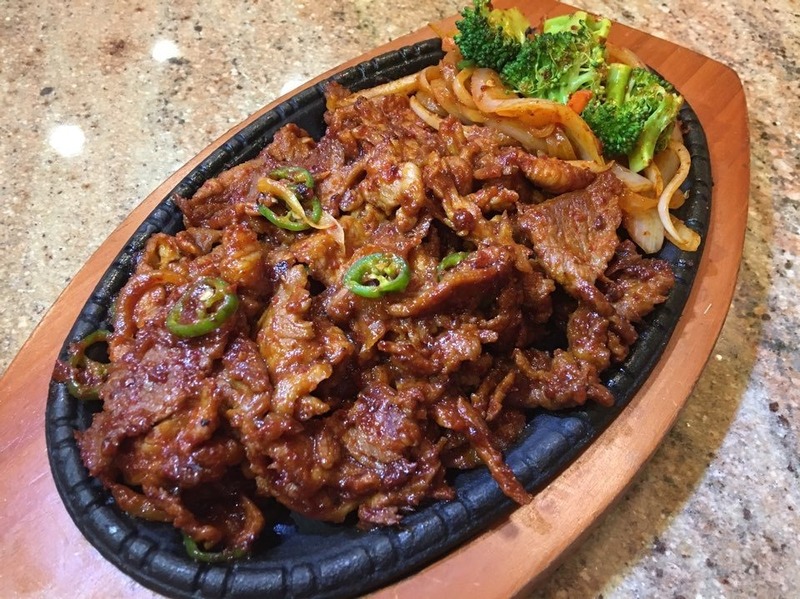 Apart from their to-die-for bulgogi beef, Korean Chili also offers Spicy Korean Ramyun, Rice Cake with Dumpling Stew, freshly-cooked appetizers from pot stickers to egg rolls, and a plethora of rice bowls and soups. On top of that, they can whip up an incredible smoothie with or without boba in fun flavors such as Pina Colada, Sour Green Apple, Cookies & Cream, Italian Tart, and more. In case you've never tried Korean food before, no worries. The staff are excellent in describing the dishes they offer. As a bonus with your order, you'll even receive a side of Korean staples such as kimchi, pickled radishes, and Korean potato salad. When one thinks of a quesadilla, they think of a flour tortilla stuffed with cheese and perhaps some meat with a side of guacamole and/or sour cream for dipping. But you haven't had a quesadilla until you've tried Quesadilla Gorilla, currently located in Downtown Visalia and two locations in Fresno. They additionally have two food trucks available for special events like farmers' markets and weddings. 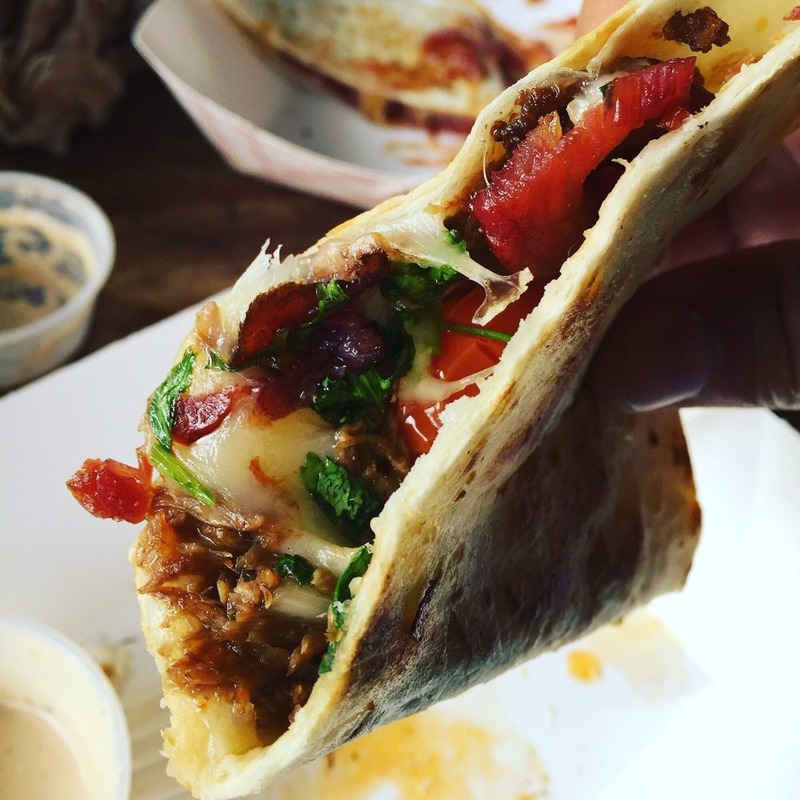 Quesadillas have their origin in Mexico; however, Quesadilla Gorilla brings other cultural influences into their dillas, from Southern-American, to Indian, to Italian cuisine in the form of specials they offer for two days at a time each week. This Visalia and Fresno business also has a build-your-own dilla option with ingredients such as onions, pico de gallo, different cheeses and meats, you name it. Best of all are the homemade salsas including Roasted Sour Cream, Cilantro Cream, Liquid Gold, and other great dips for your dilla. I should also mention that as a kid, I never was much of a quesadilla fan. I had, and still have, an issue with texture. Cheese that's too gooey or meat that is too fatty makes me gag. But I don't get that at Quesadilla Gorilla. They have the perfect veggie-cheese-meat proportions and only offer quality ingredients. For those who are vegan or vegetarian, they also have a vegan cheese option if you prefer, and for those with gluten sensitivities, a corn tortilla alternative. Whenever I have the opportunity to visit Exeter, you can usually find me at Wildflower enjoying a delicious lunch on their shady patio. It's such a relaxing place to be. Plus, for a locally-owned business, I'd say they have an incredible selection of ingredients, and thus, menu items. My personal recommendation from Wildflower's menu is the Reuben Panini with either a side of their soup of the day or corn chips. In the summer, sometimes I'm even in the mood for a side of their fresh salad. Apart from ordering from the menu, you also have the option to build your own sandwich or panini. In that case, I usually go for a ham panini with sprouts, tomato, and brie cheese. Delicious! After eating, I usually like to walk around Wildflower's mini garden area on the outskirts of their patio and check out the little gift shop that's just yards away. When I'm ready to leave, I go back inside to get a tea refill and grab a frosted cookie or other tasty treat before getting on with the rest of my day. What would I describe Visalia, California's Tacos Lucha as? Incredible tacos and ramen with a twist! You may be thinking, "Mexican food and ramen? Why both?" Because if you can do two things well, why not do both? That's exactly what was done with this delicious restaurant. They also offer mouthwatering bao bun sandos with your choice of protein. As for the tacos themselves, you will never find anything comparable. They offer housemade just about everything, including tortillas and salsas. 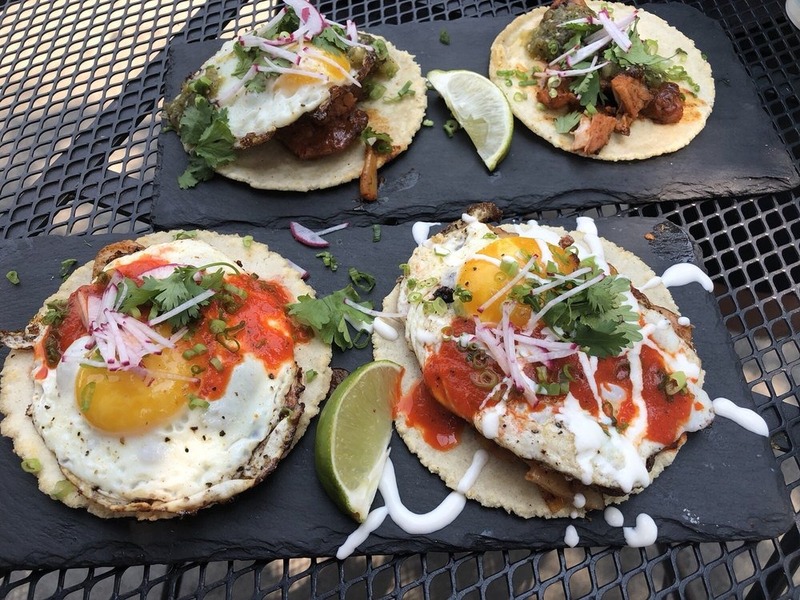 The unique ingredients used in their tacos are genius from caramelized pineapple, to microgreens, to squash blossoms. You'll never be unsatisfied with the owner's creativity. They also have vegan-friendly options such as their Potato & Soyrizo tacos and their Cauliflower & Carrot Puree tacos. If you catch Tacos Lucha at the Visalia Farmers' Market, opt for one (or a few) of their breakfast tacos. Sometimes they'll even offer other great breakfast options such as avocado toast or even a toasted bagel with locally-grown figs, grapes, and honey. Delicious is an understatement. Enjoying the article so far? 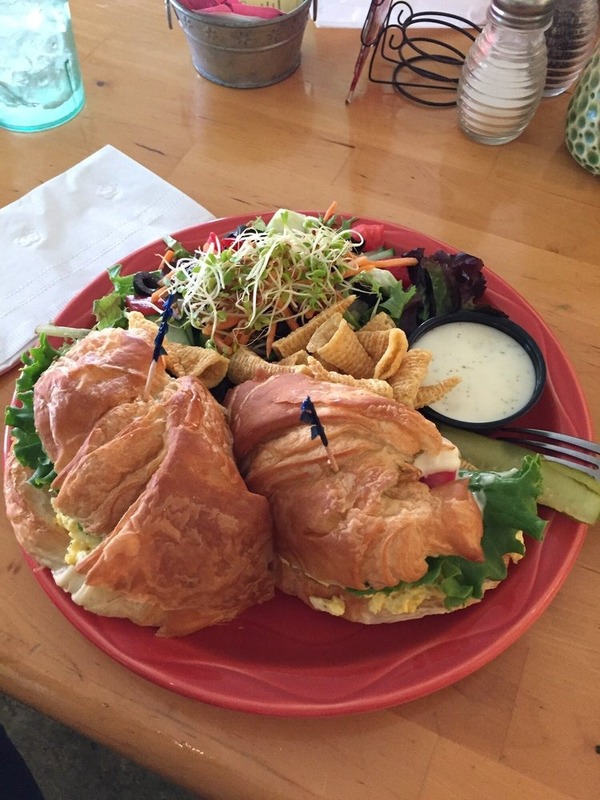 Be sure to head on over to part 2 for more great San Joaquin eateries!